René Metge, Sporting Director of the event, is back again on African tracks to refine the road-book of the fourth edition of the Africa Eco Race. A real precision work carried out jointly with real experts of Africa and rally raid as Jose Maria Servia, Fina Roman and Manfred Kroiss. Our four musketeers have to go in the details of the 2012 route to offer a diversity and renewal to faithful or new competitors. René pays particular attention to details as his first goal is to create surprise and wonder. “When we choose the route of a special stage, we have to keep in mind a certain balance. Between mileage, difficulties of the terrain and navigation, the balance must be very precise. 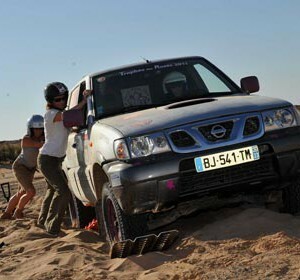 Regarding Morocco, we have to master an additional difficulty, try to offer a maximum of renewal. Morocco is a country where many races are organised and for competitors, it is essential that we can still surprise them. 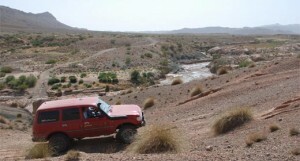 The recos of this part of the route takes a little longer than, for example, in Mauritania, where the area offers many possibilities. But in Mauritania, we also have to maintain the right balance. Between sand sea and dune fields, we don’t want to be faced with so huge difficulties that it will be impossible to cross or create too fast stages. Each competitor must be able to race at his own pace, but no question to turn the race in a too easy “drive.” The Africa Eco Race is a rally, a real race where the time makes the difference. Moreover, for those who don’t feel really comfortable with the race, we created the « raid » which takes part of the race route but where there is no concept of speed. 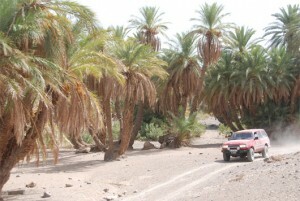 On the 2012 itinerary, after beautiful stages in the heart of the most beautiful parts of Morocco, the rally will make a break in the south of the country for a « short » rest day in Dakhla, just before Mauritania and its majestic dunes. 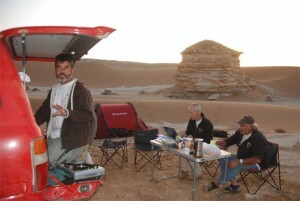 Then, we will go in the heart of the Sahara for wonderful sand stages. The kind of stages that wrote the rally raid history. Believe me, the competitors will have stars in the eyes during these legs! At the end of this final period of recos, in about two weeks, the route of this intense race will be unveiled.